Private Client | DKE, Inc.
Our investment solutions are designed to bridge the gap between accepted academic theories pertaining to equity and fixed income market behavior and the real-world application of those findings. Our firm is committed to remaining current with cutting-edge research projects at major academic institutions, while concurrently conducting internal research on topics vital to our practice and our clients. These issues range from developing improved portfolio design techniques to understanding and facilitating family dynamics. Through our collaboration with other leading service firms, our team provides comprehensive and individualized financial services with the stated and specific aim of unburdening our clients' financial lives. 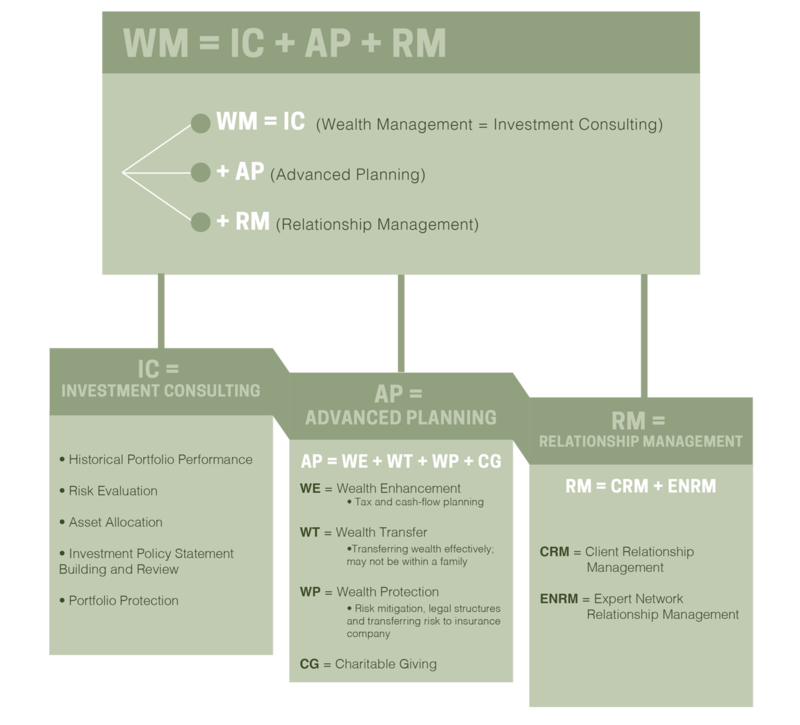 True wealth management can be viewed as a formula. It requires that we look beyond your investments, and look towards any other areas of expertise that you need to fulfill your goals. By coordinating these areas and the professionals who fulfil them, your Comprehensive Wealth Plan will be efficient and free you from the burdon of managing these complex systems.